Robert Duncan Allardice was born on July 21, 1947 in Plainfield, New Jersey and moved to Pitttsburgh, PA as a child. He was one of six siblings (5th born) four brothers and two sisters. He participated in Boy Scouting and was an Eagle Scout. He earned two varsity letters in football as a DE and HB at North Allegheny High School, one varsity letter in wrestling (180 lb. class) and three varsity letters in track and field for discus where he held a record (which legend has it…still stands). He was captain in track and field and co-captain in football. He went on to play football and wrestle at West Point, graduating with the class of 1969. 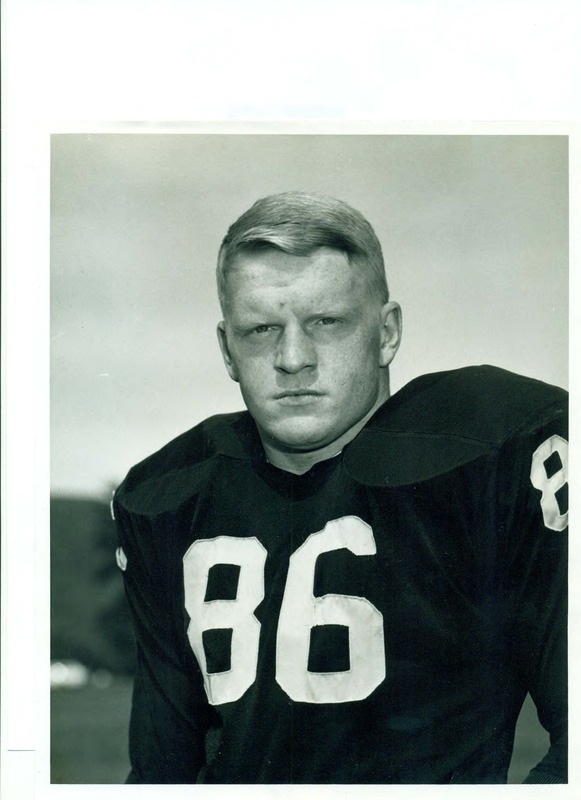 In October of 1968 while playing for the West Point football team as a defensive tackle, number 86, Dice sustained three concussions in one week, followed by a broken neck the very next week. 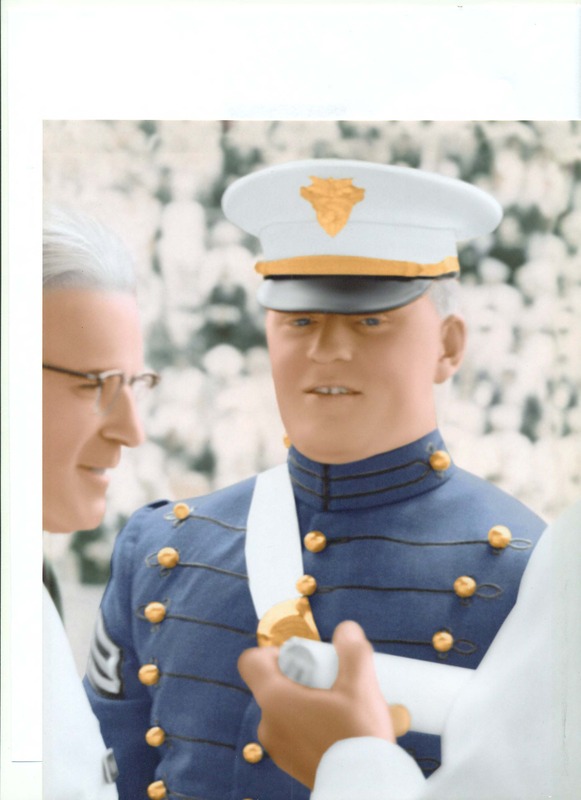 Dice appeared to recover, enough so that he graduated with the class of 1969 and was commissioned in the Quartermaster Corps. He was, however, not medically qualified for the combat arms. While at his first duty station he was rear ended in an auto accident. The resulting injury, along with those sustained at West Point, led to his medical retirement from the Army in September 1970. He joined the work force and had a successful life. In 1996, the effects of the injuries that had taken away his dreams to serve his country began to manifest themselves more seriously. By his retirement in 2006 he was noticeably struggling, increasingly confused and losing his ability to communicate. His disease progressed quickly, systematically stripping him of his quality of life. During his courageous battle and before he lost his ability to communicate he made the decision to donate his brain to the VA-BU-CLF Brain Bank for research. Robert passed away at the Durham VA's Long-Term Community Living Center on November 7, 2014. As the story goes, 10 Games, 4 rushes for 26 yards, and Stage 3 Chronic Traumatic Encephalopathy, CTE. Dice became the first known West Point graduate to have died with the disease known as Chronic Traumatic Encephalopathy (CTE), confirmed by Dr. Ann McKee and the research team at Boston University. While the effects of his injuries at West Point took away his dreams as an athlete and the ability to serve his country, he never wavered in his love for West Point and his country. I believe, without a doubt that in choosing to be a Legacy Donor, Dice knew he could help to make a difference in the sport he loved. His brain donation places him at the forefront of research being done to develop safeguards to protect against brain injury, diagnose CTE in the living, and eventually find a cure for what is said to be a preventable neurodegenerative disease. “Dice” was a man who believed that everyone he met held the potential to be his friend. He owned an infectious knee-buckling laugh, and could dance like no other. He was bound by his ties to West Point and the members of the Long Grey Line. He lived Duty, Honor, Country every day. Integrity was how he lived his life. He was fiercely loyal and an honorable man. Click here to read Robert's West Point story. In Memory of Bobby "Dice" Allardice. Make a Donation in Memory of Robert.